A practical guide to for those Canadians who are taking up residency in the UK on what to expect when going through the process of getting a UK license. If you are planning on moving to the UK from Canada for more than a year, and are planning on driving a car, then you will need to exchange your Canadian license (issued by your home province) for a UK one. I’m going through the process of accomplishing that now, and have found that information I find on the process is either confusing or incomplete. With this blog entry, I hope to detail what I have found out about the process, so others may benefit in the future. That being said, I am sure others can add to the information in the blog. If you have some information to provide, or a correction, please leave it in the comments. I’ll update the blog accordingly. Where am I in the process? I now have my full UK drivers license including the ability to drive a manual. This involved exchanging my license for an automatic only license, and then taking a practical driving test on a manual car. I now have a license that allows me to drive manual transmission cars. I know, I know... There is no such thing. Licenses in Canada are issued by the provincial transportation authority. In my case, I had an Ontario license. However, the DLVA (Driver and Vehicle Licensing Agency) in the UK views all licenses issued from the Canadian provinces the same. Therefore, when I talk in this blog about a Canadian license, I just mean a license issued by a provincial transportation authority in Canada. So you have arrived in the UK, and still have your BC, Ontario or Quebec license in your wallet. Can you drive? How long to do you have to exchange your license? Can I Drive A Car with a Canadian License? Yes. You have up to one year where you can drive a car in the UK on a foreign license. The DVLA website says that “you may drive vehicles up to 3.5 tonnes and with up to eight passenger seats, for up to 12 months from the date of coming to GB,” assuming your license is valid for that period. This applies to both Canadians on working visas now resident in the UK and students studying in the UK. I Have a Large Truck / Bus License from Canada. Can I drive a Truck or Bus? You can’t drive in the UK legally anymore without getting a UK license. If I’m Not Planning on Driving, Can I Keep My Canadian License? For the UK’s point of view, yes. You can swap your license any time up to five (5) years after moving to the UK. You are only allowed to drive on your foreign license for the first year, but if you aren’t planning on driving, you can swap them later. Living in London, I don’t drive much, so didn’t need my license. I was in the UK for a year and a half before I got around to making the swap, and didn’t have any trouble. From your home provinces point of view, you’ll have to check with them. Based on this website from the Ontario Ministry of Transportation, looks like you can keep it until you need to renew it, then perhaps you are out of luck. You could do what I did when my license expired and I was in the UK. I flew home and got my photo done. Do I Need to Make the Switch to a UK license? Check out the DVLA’s interactive tool on if you need to swap your Canadian license for a UK one, at Can you exchange your driving licence for one issued in Great Britain (GB)? You’ve now determined you want to swap your Canadian license for a UK one. First, you need to get yourself an application form D1. These are available at DVLA offices (find them here) or the Post Office (find them here). 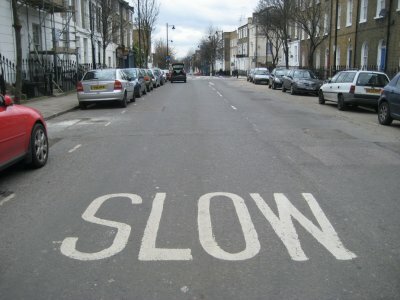 If you aren’t handy to a DVLA location or Post Office, I’d ask you what you are doing living in the middle of nowhere. However, in that event, you can order the form online from the DVLA at this website. You then need to get a passport photo done in colour. These can be done at automated photo booths or in a photography shop. The criteria for the photo can be found on the DVLA website, but any photo that meets the passport guidelines is fine. You need to provide identification of your identity. Valid forms of ID are listed on this page at the DVLA website, but for most Canadians that means your Canadian passport. Send the completed form D1, along with your ID, colour photo, Canadian driver’s license and a postal order or cheque for £50 (made out to “DVLA, Swansea”) to DVLA, Swansea, SA99 1BT. What if I Don’t Want to Mail in My Forms? NOTE - Since a switch in websites from DirectGov to GOV.UK, I can no longer find details on the Premium Checking Service. I am not aware if this service is still available, or if it has been discontinued. All information on Premium Checking Service may no longer be accurate. I’m with you here! Given the rotating Royal Mail strikes that seem to constantly be happening, who wants to trust sending your passport via the post. I used the Premium Checking Service, details of which can be found on this ARCHIVED DVLA page. If you are using a Canadian passport as your ID, you’ll need to go to one of the four DVLA offices that can check these documents. They are in Glasgow, Nottingham, Wimbledon and Swansea (main reception on Longview Road). Click on the name of the location for their address. You will need to bring all the same items as listed above, save the cheque or postal order. You can pay via debit or credit card at DVLA locations. There is a small fee (£4) in addition to the license fee, for a total of £54. Small price in my mind to pay for the security of getting your passport back at the end of the encounter. I went to the office in Wimbledon. I was prepared for a long wait at the DVLA, but actually it was quite quick. I showed up at about 8:45 AM, 15 minutes before opening. There was a queue outside the building, and I joined in about tenth place. Upon entering, though, folks taking care of vehicle licenses and folks getting driver’s licenses were sent to separate locations (drivers licenses are on the 1st floor, with vehicle licensing on the ground floor), so I ended up being fourth in queue. You take a number and wait for your number to be called. After my number was called, a clerk checked over all my forms to ensure completeness. He then took the forms and told me to go and wait in a second room. After another ten minutes or so, a second clerk called me, verified my forms again, handed me back my passport and took my payment (via debit card). He gave me a receipt and told me it should take three weeks to get my new UK license. Do I Need to Get My Photo Signed? If you go to the premium checking service, no. The clerk who serves you will verify your identity. If you are mailing in with your Canadian passport, then no. 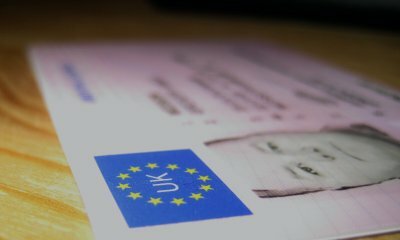 The DVLA site says that you only need to have your photo signed if you aren’t using the following forms of ID: an up-to-date passport, UK travel document or an EC/EEA identity card (apart from Sweden). Will I Get My Canadian License Back? No. The UK will send it back to the relevant authority in Canada. What if I Need to Drive After Handing in My Canadian License? If you get the premium checking service, the receipt that the clerk gives you can be used as proof of being allowed to drive. If you mail in, I am not sure of the answer. Anyone know the answer? What if I have a Provisional or Graduated License? Some provinces now have “graduated licensing” (as an example Ontario). Can a Canadian exchange a license with less than full driving privileges for a UK one? I don’t know the answer to this, but if you do - please share in the comments and I will update this section. After you exchange it, you should receive your license in the post. Mine took a little under 3 weeks to arrive, even with Royal Mail’s usual slowness, so I was pleased. What Does My New UK Driver’s License Allow Me to Do? A - Motorcycles with a power output of up to 33 horsepower (25 kilowatts). This webpage discusses in detail what that means, and this is a list of motorcycles with less than that power. B and BE - Automatic transmission cars, including cars pulling trailers. A “car” is classified as having less than 8 seats and weighing 3500 kg or less. B1 - Three and four wheeled light vehicles, like quadbikes, as long as they are less than 550 kg. GH - Road Rollers and Tracked Vehicles - A “road roller” is what we would call a steam roller. Tracked vehicles are vehicles with tracks instead of wheels. Before you go out and buy a Sherman tank, though, note that the tracked vehicle can’t weigh more than 3500 kg, and the steam roller must be less than 11.69 tonnes. Nor steam powered. 70CDN means that the license was exchanged from a Canadian license. 78 means Automatic transmissions only. For more information on the codes, check out this page Information on driving license codes. The detail is in information pamphlet INS57P, in case the link goes dead. The UK has Different Licenses for Automatic and Manual Cars? Yup. Its a point of debate. Some people think that it makes sense, as it keeps drivers who can’t drive a stick from stalling in front of you at roundabouts or rolling back into you at hills. Others think it is another sign of the nanny state that the UK is becoming. Either way, if you are exchanging a Canadian License, you are going to be able to only drive automatic transmission cars. I Can Drive A Manual Transmission. Can’t I Just Exchange My Canadian License for a Manual License? Nope, at least not as far as I’ve been able to determine. The DVLA says that to exchange a Canadian license for a UK Manual license, you need to “prove” that you took your test in a manual car. However, they don’t say what they would accept as proof. I have been driving manual cars since I was 16, and back when I had my Canadian license, drove manual cars here in the UK. Once I made the switch, though, I would no longer be allowed. I tried to find some way to do a direct exchange. Nothing I read indicated anyone has ever been able to do it, especially seeing as I can drive a manual, but didn't take my license on a manual transmission car. Those who did take their test on manual transmission cars haven't had much luck either. I have read about people trying to prove it, but none that have. Some have provided letters from the driving examiners that the car was a manual, and the DVLA has rejected that as not being sufficient enough evidence. Basically, you should be prepared to accept the automatic license, and if you want a manual license, take the test. Really, There Is No Way to Get A Manual License? Apparently some people do it, as this freedom of information act request indicates that in 2008, 7,628 automatic licenses were issues and 2,765 manual license were issued. If anyone out there who has done it can shed light on what documentation you provided, please do! Okay, so you have your new license, but if you are like me, you want more. You want that manual license. Here’s how to go about doing it. I passed my test in February of 2014. I had to take the test twice due to a fault I made in my first test. Do I Need a Manual License? No, as long as you are fine with not being able to drive a manual transmission car. That’s fine if you own your own automatic car. However, if you are looking to rent cars or join a car sharing scheme like Zip Car, you’ll find automatic transmission cars are hard to find and very expensive to rent. Also, if you ever want to buy a car, you’ll have a much greater selection if you can buy a manual. Automatic cars just aren’t that common around here. Do I Need to Write the Theory Test? No. The DVLA website itself says “If you want to upgrade within a vehicle category you won’t normally need to take a theory test. For example, if you have a full automatic car licence and you want a manual car licence you won’t have to take a theory test.” The experience of those who have taken the manual test also confirms this. However, the people working at the DVLA offices don’t always know or understand this, and may tell you that you need to take a theory test. Once they start the process, though, they will find that they are unable to book a theory test for you, as you already have a license, and should then book your manual test. I personally had not issues booking either my first or second driving test via the phone. In London, it was about six weeks between the day I booked and the first available test. As you don't have a theory test number, you cannot book on line. Instead, you can book by phone or post. Do I Need To Study or Take Lessons First? No. You can just go and take your test. However, those I have talked to who have done this suggested taking a couple driving lessons first. There is a very low pass rate for the test (35%), and many people without the lessons failed their first test. Taking a few lessons will help you know what to expect from the test, and provide you with some idea of the more esoteric things that could come up on the test. I personally ended up taking 10 hours of lessons before my first test, and I consider these invaluable. Even as an experienced driver, it was great to have someone take you through what will be on the test and perform some mock tests with you. A professional driving instructor will be able to run a test exactly like an examiner would. 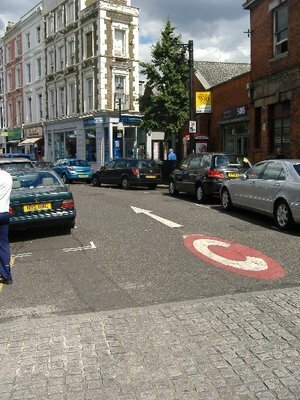 Secondly, as I didn't have a car or anyone to go out with, it was good to practice and get used to driving in the UK - specifically dealing with rounadabouts and intersections, which aren't common in Canada. If you have someone to practice with, you could probably do a couple hours of lessons, and then maybe one or two mock tests and not do as many hours. What If I Want To Practice In A Manual Before My Test? Your automatic license is similar to a UK provisional license for manuals. Therefore, you can drive a manual transmission car if you have the L Learner Plates on, and are riding with a fully licensed UK driver over the age of 21. Note that the driver needs to have a full UK license, not an international license. It is a full driving test. The test is not just to test your ability to drive a manual transmission. It is a full driving test, and you will have to do all the things that someone who is getting their license for the first time. Even though you have a full license for automatics already, you'll still need to prove you can drive a car. The test is about 45 minutes long, including 10 minutes of independent drivings (where they will ask you to follow signs to a destination, or give you multiple directions to follow (e.g. turn left at the end of the road, then take the second right, then follow that road until the end, and turn right again)). You will be asked to do one manoeuvre - either a reverse around a corner, three-point-turn or parallel park; and potentially an emergency stop. Before you start away, you'll be asked to read a license plate (registration plate) from a distance to test your eyesight. You'll also be asked some questions about the car (the "show-me / tell-me") like "how do you turn on your fog lights, and when would you use them?" or "show me where the brake fluid is, and how do you check it?" You will be marked on your actions as a minor, serious or dangerous fault. You can have less than 15 minor faults (things like checking mirrors enough or signalling a turn too late). If you have any serious or dangerous fault, you will fail. The results will be given to you immediately after the exam ends. If you pass, you will be given a pass certificate that you can use as proof to drive a manual car. The instructor will take your license and a new license will be posted to you. If you fail, you can continue to drive an automatic transmission car without issue, and continue to drive a manual car with L-plates and a licensed driver. You can book another test immediately, though need to have at least 10 days between your first test and your second. See more here from the gov.uk website. Personally, I failed my first test with one serious fault - entering a roundabout in the wrong lane (entered in the left lane when I was making a right turn). Even though I negotiated with roundabout without issue and did not impede any other cars progress, it was still a potentially dangerous situation, which is why I failed. I passed the second test with only 4 minor faults. As stated above, I felt that the driving lessons and mock tests I took with a professional instructor were very valuable in having a successful test. Where’d This Information Come From? The Direct.gov and DVLA websites, as well as DVLA document INF38 for the most part, plus my own experiences, and information from the internet from forums like Canuckabroad and Thorntree. When you get a new license - whether the first exchanged automatic license, or passing the test for a full manual license, you are considered a new driver for insurance purposes. As one commenter says, "When you pass a test in the UK, the new license issued is only valid from the day you passed the test, so your past experience, on an automatic full UK license or from a Canadian license, vanishes." What If I Move Back to Canada? Heading back to Canada for good and want to get back your license? If you are moving to live in Alberta, Saskatchewan, Manitoba, Ontario, Quebec, Newfoundland and Labrador, you will be able to exchange a UK licence issued by the DVLA for one issued by these Provinces. For other provinces, If you take up residence in any of these Provinces/Territories, you will be required to take a written test and a practical road test. Please feel free to post any other questions in the comments. I will attempt to answer them, and potentially add them to the test of the blog if they would assist others. 11 Nov 2012 - Added information on insurance, booking test (clarified cannot be online), information on exchanging if you return to Canada, and note of Premium Checking Service to indicate I am not sure if the service is still available. Cheers Greg. I've been under the thumb of the automatic transmission license for a few years now and although I knew that I'd simply have to submit to retesting, it's encouraging to follow the process with you so that I don't hit an unexpected anti-colonial barrier. Greg, great article! I 'm moving to the UK at the end of Dec with my family and my firm leased 2 manual cars not knowing any different. My wife is going to be the guinea pig on this one. I've been driving in the UK for a few months, both auto and manuals. I've heard that you can have a driving school document that you can drive a manual and the DVLA will use that? Gary - I don't know the answer to that question. I'm about to arrange a couple driving lessons before my test. I'll ask the instructor if they know if that's true. "If you wish to exchange a Canadian driving licence for a manual GB licence you will need to provide manual evidence from the Canadian Authorities. If this is not possible the licence will be exchanged for an automatic licence." I'm going to drop a call in the MOT over here and see what comes up. I am currently in the position of upgrading my GB automatic licence for a manual one. I have taken a few lessons to brush up. I tried booking my test online but with no luck as I don't have a Theory Test Certificate number or Theory Test date which are both required to prceed in the process. I believe my next port of call with have to be to phone and listen to their automated voice. Did you ahve this problem? Tiggersjh - I haven't actually gotten around to booking my test for the upgrade yet, so I haven't experienced that. I was going to book my test, but then with all the snow thought I would wait until the weather turned nicer (which it finally appears it may have). Let me know how it turns out. Good luck with the weather. It certainly is teasing us. You may not want to wait however as at the test centre closet to me the wait is 8 weeks. I was able to book over the phone without too much bother. After listening to a series of recorded messages I was told the lines were full and was hung up on. Tried again 20 minutes later, listened to all the messages again and got through to a person who booked me in. Once booked in you can then go online to amend any details or change the date. Good luck with your test. I feel it would be very embarrassing to fail after having driven for 17 years in 6 different countries on 3 different continents. Thanks for the information, Greg! I have a full Quebec class 6A motorcycle license (which was exchanged from a BC license when I moved to Montreal a few years ago) in addition to the class 5 automobile license. I wonder if that is sufficient proof that I can drive manual since most (real motorbikes have manual transmission? Nchinetti - do let me know how it works out. I'd love to know how people get a full manual license right away. We have it easy from Canada and was painless to exchange for an automatic UK license. A trip to Wimbleton and 2 weeks later in the post voila. A few lessons and passed for manual. No big deal, if you check the DVLA's you can find the pass/fail rates of each office. We're near Birmingham. I had a letter from the Ontario MOT that stated my vehicles owned are manuals, but no record from passing a test. The DVLA said no dice, a few different pokes in different offices same story. Proof required is from the provincial MOT stating you passed your test on a manual. I did but have no proof. Bikes and Cars are different and you can't use one for the other. I passed my Manual practical last week, it was a breeze. I did a 2 lessons with BSM and did it first thing in the morning, 1 minor strike. Forgot to signal while pulling out from a stop on the street. My wife passed with 2 marks and I passed with 1. Nick from BSM in our area was great and 40 minutes DONE! This included on mine the new driving on your own thing. Congratulations Gary! I still haven't gotten around to taking my test. This is a really helpful article. It helped my get my license exchanged. I sent my Canadian license to be exchanged for a UK license, and now waiting to get the new one. However, my question is really about the valid from date on your UK license. Is it the date when the Canadian authorities issued your license? I ask this because the insurance quotes I get because I have less than 1 month old license, is horrible... GBP1500. The car I plan to buy costs that much! Any tips on how I can reduce my insurance? Sorry about the long delay in replying. I have been off travelling. I will admit as I live in London, I don't have a car, so I am not sure on how to best reduce your car insurance. The date on my license is the date that I exchanged it. From what I have heard, I believe your history of driving in another country is not considered when looking at insurance rates, I'm afraid. I'd be happy if anyone else could shed some additional light on the matter. If the car is new, insurance is expensive and difficult for newbies. My firm had to cover my cars on the corporate policy. 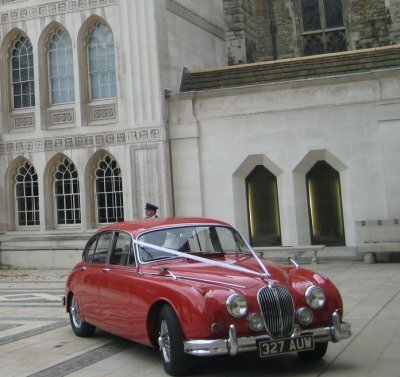 For my classic car it was no problem, I had insurance after a phone call and 167.00 per year. You could get a letter from your Canadian insurance company and see if that helps. Look around on the net for expat car insurance. I am also thinking about exchanging my Ontario license for a UK one. My question is what is the expiry date on your UK license (is it the original expiry date on your Cdn license). And if so, what happens when it expires? How can you renew your UK license? As my current Cdn license will expire in 2012 and I anticipate I will be here in the UK for longer than that. Looking at my UK license, it has an expiry April 2020. The start date on the back is the same as my Ontario 2007 when I received my new license. If you still have your Canadian license, get a International Drivers License, it has all you Canadian information, then trade in your Canadian for a UK. This trade in for an automatic with 12 months Provisional Manual. You can drive manual without the P on your car. HI Greg, thanks for this information. very useful. Do you know if the expiry of the Canadian license matters? Mine expires in July'11. I am planning to apply right away for exchange as I won't be back in Canada in time to renew my Ontario license. Hi Jainsumeet. The DVLA just says that the license has to be valid, so I assume as long as the license is valid when they get it, it should be fine. However, that is an assumption on my part. Keep in mind also that it takes up to 15 working days for them to process the application, and if you are sending via mail you'll have to take into account the time for Royal Mail to deliver it as well. Therefore, you'll probably want to move pretty quickly. Hi, i recently exchanged my Canadian driving license for a UK driving licence. There seems to be nothing on my license saying i can only drive automatic cars. I have looked on the DVLA website and there is supposed to be "B auto" on the back of my UK driving license. Does this mean that i am able to drive manual and automatic cars? Is there some other symbol i am missing thats says i can only drive automatic cars? on the back of my license, beside each of the classification, it has a set of numbers 78,70CDN. The 78 means you can only drive an automatic. 3)Date the new UK license was issued. I have heard conflicting reports. Hi ssa2010. Can't answer the question, because I have moved since. However, I believe they show the date that the UK issued the new license as the "valid from" date. When you get a new one (for example, when I moved), the valid from date is reset. HI This is a very useful site. I've now got a converted licence from Ontario to a UK automatic. I am arranging a test for manual. The online system asks for a theory test certificate but I gather I don't need to do a theory test. Does anyone know what you enter here or does this need to be done on the phone? Here is a story of woe to serve as a warning to those who do not take advantage to the Canadian/UK license exchange. My wife and I have been here for many years driving on our Canadian licenses; although I was aware of the license exchange option, I was always "too busy" to take advantage of it. We never speed; as such we were never subject to being pulled over or in receipt of a ticket from a speed camera. After driving for many years on my Canadian license my insurance company (Direct Line) refused to renew when they discovered that I did not have a UK license. This was a new check that they started doing only in 2011 as previous years there was never an issue. I switched to another insurance provider who would insure drivers with a foreign license, albeit at a *MUCH* higher premium; this bought me time to get around to exchanging my license. A year passed and I still didn't. I then ended up getting into an accident; although no one was hurt, in the eyes of my insurance company it was my fault and they demanded to see our licenses. I sent them through a copy and they strongly advised that we exchange them for UK licenses as soon as possible. Our car was a write-off and we had to buy a replacement. My wife was driving the new car a few days after we took possession of it and was pulled over by the police as the registration showed the car as being uninsured. A quick check confirmed that it was indeed insured (we are not that foolish), but when they asked to see her license she explained that it was from Canada and she had been living here for many years. They issued her a ticket (3 points and a £60 fine) for driving without a license and towed the car to the police impound. The fees for the impound make the fine look like peanuts, and we cannot pick up our car as we do not have UK licenses! I went to exchange my license at the DVLA office a couple days later but they refused as I had been here longer than 5 years. I now have to apply for a provisional license and pass both the theory test and a driving exam. I am not too fussed with this, but it is more time out of my life I could do without. As my grandmother would say: "Serve you right!" jainsumeet - not sure if you can book online. Did you find an answer? an-idiot-abroad - wow! Thanks for the warning to everyone. Definitely worth exchanging, then. Thanks for sharing your story. I'm going through the process right now. We arrived in early May, bought a car in June, got insurance, etc on our Canadian licenses. Then last week decided to buy a campervan, for which we need a full UK license for insurance. So, no problem, hit the DVLA office in Swansea on Friday morning, exchange my Canadian license. I then proceeded to buy the campervan on saturday and drive it back 300 miles. I was insured provided I could show my full UK license within 14 days. Luckily enough the van is automatic. My license arrived on Wednesday: only 5 days after showing up at Swansea office. I then phoned up the DSA (testing agency) to book a manual test. You can't book online as you dont have a tehory test pass confirmation number. 6 weeks wait list for Cardiff, but I can take the test in Bridgend next Tuesday (6 days wait). I plan to take the test in my own car, with my wife driving there (on her CDN license). I'll book a couple hours with an instructor before tuesday to learn the idiosyncracies of the test. All in all: a much more painless experience than expected, although the information found here helped greatly. Well, never did 2 hours with an instructor after all, just decided to wing it with my personal car (driven to test facility by my wife on her international license...), added the L stickers and 2nd rear view mirror (£8 at Halfords), drove normally and passed. Now awaiting to receive my new license in the mail, sans code 078. Over all it was less than 2 weeks to do everything, from initial exchange to passing the driving test. Not bad. (although I'm still waiting on the actual license, which should be a matter of days). Thank you Greg for all this information! I'm just still confused about one thing- since we're required to send in the Canadian license, will I be able to get it back when I return to Canada (Ontario)? If so, do you know how? Thanks! Received my "manual" full UK license in the mail. Caveat: when you pass a test in the UK, the new license issued is only valid from the day you passed the test, so your past experience, on an automatic full UK license or from a canadian license, vanishes. So I now have 0 experience (instead of the 4+ years that I had on my short-lived UK "automatic" license). Tina: when I moved from Quebec to BC and back again, my Quebec license was re-issued no questions asked since it had been less than 2 years since I'd left. Otherwise I would have had to do a "normal" license exchange, similar to going from an out of Canada license to a Canadian one. I'd imagine Ontario would be similar. Short answer: no you don't get your license back when you return, you have to re-apply for one and the process varies depending on how long you've been gone and if you're still in the system. If I exchange my Canadian license for a UK license, do i forfeit my Canadian license? In other words, does that mean I can't drive in Canada anymore unless I take the G1/G2/G road tests again? If that is the case, any solutions to this? You Canadian license is returned to your provincial authority by the DVLA. Just like a Canadian license allows you to drive a vehicle in the UK, a UK license allows you to drive a vehicle in Canada for a certain period until you are required to switch licenses. Further to strapontin's comments, you can check out this website on exchanging a UK license in Canada. Thanks for replying. To be more specific, I travel back and forth between UK and Canada because I'm a student. So for example, during Christmas and Summer, I live in Canada while during school term, I live in the UK. What is the best option I can take to drive in both countries? Since you spend most of your time in the UK and are likely considered a UK resident for the time being, I'd say you're better off with a UK license. You can still drive in Canada over Christmas / summer with a UK license. So, my best option is to get a UK license here by passing the theory and driving test instead of exchanging my Canadian license into a UK one? That is if I want to drive in UK during school term and Canada during holidays. Acdapast, you can drive on your UK license in Canada, if you are only visiting in the summer. You won't be in Canada long enough to be resident, so you won't need two licenses. If you just do the exchange, you either won't need to take a test (if you are fine with an automatic only license or somehow get a full manual license), or only a practical test if you want a full manual license. And you can change back if you move back to Canada. @ GregW, that sounds awesome. Just a few questions, if i drive in Canada with an exchanged UK license, does it affect anything? For example, do I need to notify my auto insurance company in Canada? Second question, how does insurance work here with an exchanged license? Will it consider my insurance rate by checking my driving history in Canada? Acdapast: I just got insurance on my automatic exchanged license. The online quotes that I got didn't permit me to add overseas experience. But when I called they added this or some gave me something akin to a 'new client' discount (forgot the exact term they used). Ultimately got it from NFU - at my local office in Edinburgh. They quoted slightly higher than Elephant and Admiral - but service was far better - and when I asked them to reduce the quote, they went back to the underwriter and negotiated a discount of 10% to bring it down to the rate I had asked for. This was still about £20-30 more expensive than others. They didn't actually check my driving history but Admiral did ask me how many years I had overseas and applied that to the rate which was cheaper than the online quote. Part One: Question(s): Complicating this licence transfer discussion further, I have an Ontario Class D(large truck) F(bus) z(air brakes endorsement). To my knowledge, one can only pass a Dz class test on a manual transmission, as to my knowledge all air brake trucks are stick shift. I am NOT looking for the equivalent lic here in the UK, only a 'normal' car lic, but I would really like to avoid this whole transition from automatic to manual. Q1/ The DVLA: Is there any chance that the DVLA will recognize my DFz as a manual transmission? Unlikely, I know. I am planning to accompany my application with a letter explaining "DFz" and requesting a standard lic. Q2/ Has anyone found an MTO Drive Test Centre phone #? I keep getting stuck with the Service Ontario folk who may as well be recordings, themselves. It is (again) a long shot, but I'd like to call a drive test centre and see if (A) there is any record of my test and (B) see if someone there could supply a letter re: big truck = manual trans. Has anyone succeeded at getting a letter (of any kind) from the MTO? Our tax dollars at work? (A)We are new to the UK, from Ont. Here on Ancestry Visas. Here permanently (tenured position at UK institution). Point is we are not dodgy, traveling, or anything of the like. (B)We are importing a van from Japan. A Toyota HiAce SuperCustom. It is a 'grey import', meaning it has no ABI (Assoc. of British Insurers) code. (HiAces in general are plentiful, but not this particular model). We *may* recently have succeeded but now enter the phase of changing our lics, wch cld complicate things again. Needless to say we will be paying the Welcome-To-The-UK-Your-Wallet,-Please Newby Premium, but that is (slightly) better than selling the van as soon as it gets here. My point is only to forewarn anyone who is thinking along the same lines. If you are coming here, do yourself a fave and wait to get your vehicle *here*. Adding grey import to your list of bureaucratic headaches is not worth it. Or put it on a very slow boat, allowing yourself at least a (licensed?) year here before you try to insure it. Or, of course, get a bike. Galmac - afraid I can't help myself on most of your questions. Do let us know if you get some answers. I do know that you can't exchange a large vehicle license from Ontario for one in the UK, but don't know if they'll let you take a regular car license in exchange. My CDN-Quebec license has expired (due to non payment of fees) do you think I can get away with an exchange? Hamzy - I'll be curious to know. I'm waiting on a transfer of my own (Ont) lic, but my (truck) driver's medical was out of date, so it may not go. Good luck. Hamzy - What is the date on your Qc licence (regardless of payment of fees)? The DVLA won't verify if it's actually valid, just the date. Hi Strapontin, I see your point but the date on my license shows as expired. What do you mean DVLA wouldn't verify? Surely when they send it back to Canada, those in Canada would see an expired license has been exchanged and would then alert DVLA saying cancel the license. There must be a way out of this! Not current, but this page (http://webarchive.nationalarchives.gov.uk/20100413151441/direct.gov.uk/en/motoring/driverlicensing/drivingingbonaforeignlicence/dg_4022562) indicates that a license from Canada would need to be VALID and CURRENT at the time of exchange. If the license was out of date, you couldn't exchange it. "licences from the designated countries must be current at the time the application for exchange is received at DVLA." I assume that the rules for this haven't changed since that page was valid a few years ago. Hi there! I've just finished reading the last entries and they seem to apply to me regarding my situation. I need to exchange my Ontario license to a UK license but I've just noticed that it expired last month ! I called the DvLA here in Uk and they said there isn't enough info on the plastic card version of my ontario license to make they swap. I was told to ask the Ontario DVLA for a certificate of entitlement which states more info about my driving history so I can swap it. Anyone had this experience of similar? I've been an automatic driver for over 10 years so I can't imagine doing the entire test again from scratch only for having my license expired for a month! Also, what happens if you lose your Ontario license and need to swap? I have a friend in this situation and has no idea what to do! Thanks! Were you able to exchange your expired license for a Canadian one? Does DVLA even check with Canada or do they just issue the licenses? As far as I could tell, the DVLA just takes a look at the license, takes note that it is still valid (based on the date on the license, not actual payment of fees) and makes the swap. You then receive a UK license (automatic) in the post, with an obtention date matching the start date of your canadian license. The DVLA keeps your canadian license to send back to provincial authorities (ICBC, SAAQ, etc) and is then lost in bureaucracy forever (such has been my experience). Is there any way of exchanging a license which expired more than 3 years ago? That is, 4 years ago? I didn't make the annual payment in 2009 and my license expired, I went back home in 2012 and saaq said it expired more than 3 years ago. My license itself says to expire in 2011 but since I didn't make the payment saaq says sit the exam again. Can a canadian license be converted to UK without UK residency? Will my canadian license still be valid for when I return to Canada for a holiday seeing that I reside in Europe? Finally my UK license arrived today.... Filled out the forms in the prescribed manner, included new picture, included passport and £50 fee... Weeks went past and today I got a Provisional License in the mail !!! I mean... WTF !?! I called them, no apology, no remorse just told to write in and retune the provisional license and they would check into what has happened. My challenge is that my Ontario license expired today.... DVLA say I therefore cannot drive until this is resolved...which could take up the 3 weeks. Furthermore, no one could tell me where my G class Ontario license actually is !!!! They are unhelpful, will discuss nothing on the phone and never apologize for inconvenience. It was of no interest to then that I need a car for work... They could care less...I have written to the High Commission and asked for help as I could easily lose my job. Also if I got stopped by the UK cops, it would come up on the computer that I only have a provisional license. It's a joke..... Oh and yes, they did cash the cheque for £50 !!!! prezzi - I moved to the UK from Canada 2 years ago. Changed my license last year and bought a car and applied for insurance. I was driving in Canada for about 18 years. I used Aviva car insurance and they allowed me to get the records from my insurance company in Canada and accepted that as proof of holding insurance for many years. I was lucky I was with Meloche Monnex for many years so it was not too much of a problem. They provided all the records without and charge as well. Hope that helps you or anyone else that sees this. 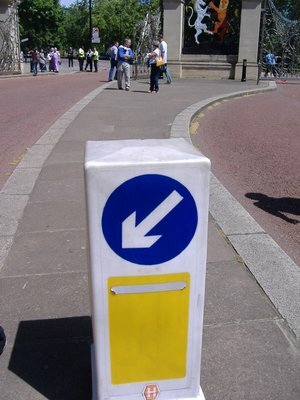 Greg, this was a very useful post. Quick question: you mention a motorcycle license, but I was somewhat confused. Did you exchange your Canadian driver's license for a restricted motorcycle license in the UK? I have a full driver's and motorcycle license in Ontario (full G and full M); would you know whether this could be exchanged for a UK Full A motorcycle license and an automatic license? I won't probably exchange my Canadian license for my UK license for the foreseeable future as my Canadian license expires in 2018, and I don't have any need to drive while here in the UK. Can you believe the Brits are obsessive with a gear shift? I foolishly surrendered my car and motorcycle drivers licence to the DVLA and was told that I would have to take a simply driving test to prove I can drive a car with a manual transmission. Hey, no problem. Well, I failed twice for not checking my blind spot, and walked away still retaining a 'full UK DRIVERS LICENCE'???? Realising this is simply a cash cow and not a assuring I can drive on the wrong side of theroad and being familiar with the completely different road signs, I surrendered my uk licence back in Canada and returned to the uk driving on my Canadian licence. Please note fellow Canadians, do not surrender you licence to the DVLA. Just simply take a holiday from the uk every year and continue within 12 months you can legally drive with your licence. Gawd, the Brits are a waked out bunch not caring about driving on the wrong side of the road, the road signs, the fact that we drive with read and front wheel drive vehicles all in conditions they have never seen in the UK, it's all about a gear stick (£). It's not that difficult Canuck, both my wife and I passed first time. Insurance could be an issue driving a manual with an auto license, I know an American friend that was charged on that and then denied the insurance claim. I had to "upgrade" for insurance purposes and I'm now 4 yrs into a 2yr contract so made sense early on. Come on this can beat you, can it Mike? I do empathise with Cancuck Mike, and have to admit that I have thought the same thing, and have had Brits say the same to me. I have taken one test, and did fail. I had three minor faults and 1 serious (being in the wrong lane entering a round-about - I was in the wrong lane because I didn't realise that the road went to two lanes right before entering the roundabout until there were already cars puling up beside me on the right). I have a second test scheduled shortly. I did take 10 hours of lessons - which really just amounted to practice driving with someone who could point out the things I did that could be points off during the test. I feel quite good that I can pass. I am not sure that keeping a Canadian license is an option for everyone. I don't have anywhere to list as my residence in Ontario, so don't know how I could continue to have a Canadian address for the Ontario license. The DVLA lied when they told me it was just a 'simple driving test to confirm i could drive a manual transmission in a car'. The reason i was failed is i didn't check over my shoulder when pulling away from a stop. I confirmed the transmission part was never evaluated. In no way does the transmission of a car affect the rules of the road, the completely different road signs or the fact that they drive on the wrong side of the road. These are the things the British driving authority should evaluate. These valid points were far too logical for the British mentality so when i was in Canada later that same year i exchanged my (full) UK car/motorcycle licence back for my GM Canadian licence. Explaining all this to the woman at the Ministry Of Transportation in Ontario, I asked if she could give me something on paper to say i can drive a manual or an automatic transmission and she laughed and said 'of coarse you can drive either. The transmission has no relevance to the rules of the road'. We both rolled our eyes and i came away knowing the problem was in the DVLA's mind. > I am not sure that keeping a Canadian license is an option for everyone. I don't have anywhere to list as my residence in Ontario, so don't know how I could continue to have a Canadian address for the Ontario license. I agree with GregW that the situation may not be so straightforward. There is no problem to keep your driver's license if you are continuing to pay Ontario/Canadian taxes and thus maintain your residency requirement. However, the mistake I made in recent years was keeping my Canadian residency (the gov. demanded I pay thousands in taxes last year even though I had not been living in the country for over 5 years). The thing is that I'm not sure whether I would like to return to Canada or not. Thus, I'd like for my Canadian driving record to be maintained insofar as I wouldn't need to redo the full G and full M licenses if I were to return. I asked the local DMV what would happen if I were to declare myself as a non-resident. According to the woman there, I would have 7 years where they would keep the records (5 year license plus 2 years after expiry), and if I come back during that time, they would simply create a new license. However, Canuck Mike states that the DVLA "lied", and I would soften this by saying that you simply can't trust the word of a common person at the licensing office. I've had too many bad experiences with people at licensing offices not being aware of international and residency clauses. I'd be happy to sever my residency and then have the 7 year period in which I get to have the option of renewing my license. However, before I do this, I need to write to the DMV and get something in writing. This is the only way, I assume, to hold these people to their word. Thank you so much Greg for this blog. I think most Canadians will agree this is the most useful information we will find on the internet for the confusing and frustrating experience we have to go through. Here's how things went for me, from start to finish. May 2013: Moved to Nottingham from Montreal, Quebec. August 2013: Took one driving lesson to ensure I was safe on the roads here! Also got a car. September 2013: Started working in schools around the Midlands, driving 1h+ a day. November 2013: Looked into exchanging my Canadian license for a UK license. Found out about the problems I would face. Wrote letters to SAAQ and Tecnic. Lived in denial and anger for a while. December 2013: Received really good letters from SAAQ and Tecnic confirming I could drive manual vehicles, including my driving record (which shows I never got any demerit points in 10+ years of driving). They of course explained why they couldn't prove what type of car I passed my test in. I filled the forms and sent them to the DVLA with all my documents. I also included a letter explaining it is impossible for people in Québec to prove what type of vehicle they passed their test in. And let's be honest, driving a manual car isn't much harder than driving an automatic. But people don't agree with that here. Anyway. January 2014: Received application back from the DVLA along with a letter saying that it doesn't prove what vehicle I took my test in, therefore they cannot sent me a manual license. I was angry again, rang them and explained that they can't ask for something we can't provide. No reasoning possible. Sent my application again. Received automatic license. Booked 3 driving lessons (sigh) and a driving test the following week. Carpooled with coworkers because I couldn't legally drive my car anymore. February 2014: Passed my test and received a manual license, £250 later. Hi Mariehbil. Sorry to hear you couldn't get the manual license even with the extra documentation. I know that people do get them somehow, but I have never met or heard anyone who has done it, so don't know what documentation they have provided to get it without having to take a test. I passed my driving test in Feb 2014 as well. I had to take the test again after failing my first test in December. I ended up taking about 10 hours of lessons before the first test, and was well prepared. I failed due to one serious fault in being in the wrong lane coming into a roundabout (which seemed a bit harsh to me). The second test I did fine on - 4 minor faults. Mickjj - no idea, really. From what I have seen quickly in a few Google searches seems to indicate that you'll need to exchange it like a Canadian moving to the UK. However, if you can find your pass certificate from the UK, then you can prove you've passed on a manual car (even if it isn't for the BC license), so perhaps you can avoid having to take the practical test to get the full manual license. I'd suggest contacting the DVLA. Let us know how it goes. Good news (well at least for me), I had a response to my email saying that they would not discuss individual licences over the Internet and told me to phone. I did so this morning and was told that licence information is stored forever and upon my return I just had to submit a D1 form and proof of identification and they would reissue my licence with no fees to pay. Hope this helps others. Great to hear, mickjj. I will update the blog to include that information for people returning to the UK. Is it just me or have they made a major change and no longer have rules against needing a special licence to drive a manual?? I read your blog months ago during initial planning and pretty sure I did the questions/steps on uk.org to confirm the situation but today it came up with this! No mention of manual. Does this seem right? a visitor to Great Britain? 2Where was your licence issued? If you’ve got a bus or lorry licence you can only drive buses or lorries that are registered outside Great Britain if you’ve actually driven the vehicle into Great Britain yourself." This still says that you will get an Automatic only license. Oh really? I guess I got the impression that for the first year on the Canadian licence that you couldn't drive a manual either. What a backwards system to allow you to drive manual, then not once you exchange your licence! Indeed, EdgyLassie - you can drive on on any transmission car with your Canadian license, but once you change it, Automatic only unless you can prove you took the test on a manual transmission car. -Yes Canadian Passport is enough ID for D1 form and photos need not be signed in this case. -Details about insuring your own car for learning and testing. (and what to watch out for). - What to select when calling the DVSA Booking support number. Feel free to glean info from there, as I think having it all on your site would be great. I'll update it when the process is finished. Thanks Alejandro! I have updated the blog entry with your points. 1. I've been registered to stay with the comments on this post for a long time, so please do keep this updated; it is very useful. 2. In particular, I hope others can shed light on whether there are any ways of obtaining the manual license directly. I have been living away from Canada for about 7 years, but was a student for 3 of those years, and paid taxes for 3 years afterwards. I did not want to pay Canadian taxes anymore this year (given I step foot in Canada about 1 week/year), and wanted to know what happens when you declare yourself as a non-resident. The issue was that I was unsure of whether I would come back to Canada in the next 10 years. If I were coming back, I did not want to lose my (full G and motorcycle Ontario) license. According to the local Ottawa DMV (not a great source), the system they use does not know whether you have or have not declared yourself as a non-resident. Thus, there is no issue with holding on to the license until the next renewal (officially you are supposed to cut off all ties to Canada after declaring non-residency, including licenses and bank accounts). However, my feeling is that there is little communication between the DMV and the tax services. My feeling is that as long as you have a Canadian 'home' address (in my case, I use my parents'), you should continue to renew your license if at all possible. As Greg mentions, he flew home to get his license renewed, and I encourage others to do the same, even if they are technically no longer a home resident. My license expires in 2018. If my permanent plans are not set by then, I intend to fly back and renew it. 4. If greater than 10, you need to redo everything (and apply as a new drive). So long story short, anybody who is planning on occupying this limbo where they're unsure of whether to hold-on or let-go of their Canadian license: make sure you do not let the license expire for longer than 3 years. Hi, Greg! I read on the GOV.UK website (driving and transport section), that I can drive in the GB for 12 months with just my Canadian drivers license. But that can't possibly mean I am allowed to drive without an insurance, right? So does the UK government just assume that I will get insurance to drive? Please advise. staytrueto30 - yes, if you buy a car you will need to provide proof of insurance and acquire such insurance. If you are renting a car, you will be provided with basic cover and can purchase additional insurance. If you are borrowing a friend's car, you should check that they are covered for occasionally drivers. If not, there is temporary insurance coverage that you can buy for short periods. Thank you Greg! Much appreciated. One tidbit of information -- you can practice driving in the UK as a learner under the supervision also of someone with a full EEA license. This broadens the options a bit if you have EEA relatives, but no UK born and bred family members to practice with. It is a bit difficult to find temporary insurance for this, but there is at least one company that covers this situation. Hi all, I am set to sit my practical driving test on Friday. I let my Ontario license expire and ended up having to do the full thing- theory and driving tests. Theory test was actually very useful as I feel I have a good understanding of rules of the road, whereas before I was just guessing a lot of the time. My husband is one of the rare few who was able to exchange his Canadian license directly for a full UK one including manual. His proof was his driving test sheet from almost 20 years earlier that he happened to still have. Test sheet didn't indicate that the vehicle was manual but luckily he was asked down for incorrect use of clutch and could therefore prove that it was a manual. Not sure if that helps anyone. I doubt most people would bother to hang on to that and it was purely by chance that he still had it. in comment above, should have been marked down for incorrect use of clutch. I had no issues exchanging a full motorcycle license from Ontario to a full UK motorcycle license.